Well known UK health supplement superstore Bauer Nutrition has recently created a collagen drink called YouTonics, joining a whole host of other companies to get a piece of this lucrative market. 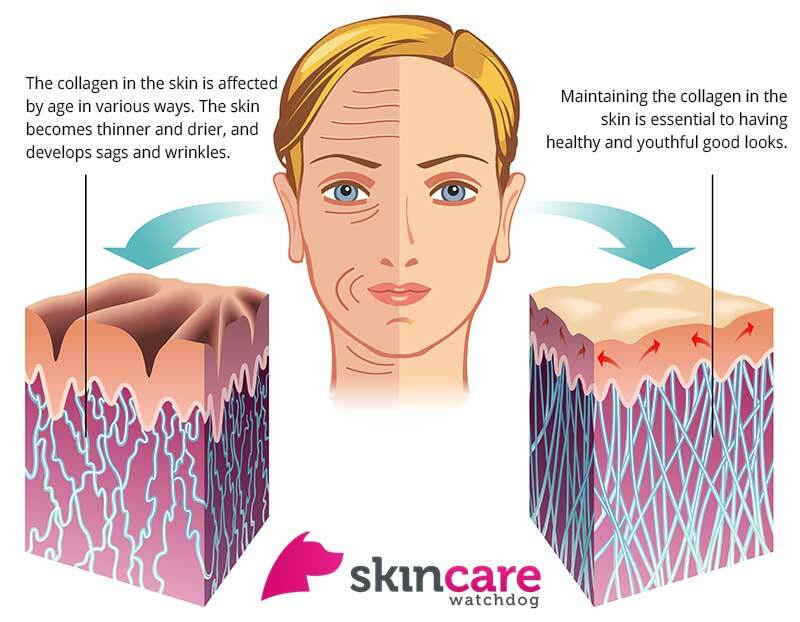 After the age of 25, most people start losing around 1% of their body’s collagen level every year. The lower the collagen levels in the skin, the more lines and wrinkles start to appear. 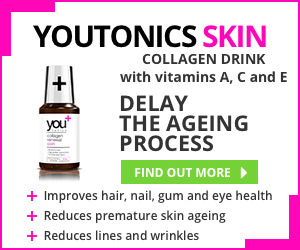 YouTonics believes that their product can replace the collagen lost naturally through the ageing process. Thus, by maintaining a healthy amount of collagen in the skin, the firmness of the skin can greatly improve. We ordered a month’s worth of YouTonics from the official YouTonics website to see if it works, what it tastes like, and what it has to offer compared to other collagen drink brands in this growing market. YouTonics’ Claims – Are They True? Up to very recently, this has been the most controversial claim any company who manufactures oral collagen supplements could make. It has been widely reported in the media that if you drink collagen, it will break down before it reaches your skin. Therefore, it was believed that collagen drinks are pretty useless. Only up to now! A placebo-controlled clinical study was recently published by the Journal of Cosmetic Dermatology to prove that the anti-aging effects of collagen peptide supplements on the skin are genuine. According to this study, orally taken collagen does rebuild the collagen levels in the skin, therefore it can reduce wrinkles and fine lines. Here’s an image of a 24-year olds’ skin before and after 30-day cycle of collagen drink. 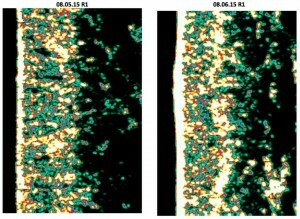 Check out the improvement in collagen on the photo on the right. It’s not only that the skin appears thicker, but the collagen structure (those yellow blobs) look denser than before the trial. Our tester confirmed that her skin did feel more hydrated, and tests results confirmed that the hydration levels had increased by a whopping 30%! Claim #3 – Improve gum, hair, nail and eye health. These are also all valid claims as collagen supplements have been known to help with these problems. How Does YouTonics Skin Work? This saying is true, especially when it comes to how you look. When you eat a certain food or have a drink, all the nutrients in it are distributed throughout your body. Once your body gets all the necessary nutrients, your skin starts to look better. YouTonics is made of hydrolyzed collagen proteins, containing 10.000mg per serving. To truly benefit from oral collagen, you should consume between 7.000 and 10.000 milligrams of collagen a day. While with less than 7000 mg the treatment is not effective enough, with over 10.000 mg your body is incapable of absorbing it, so YouTonics has just the right amount in it. Additionally to the collagen, YouTonics also contains vitamins A and E, which are well known to protect your skin cells from damage, and vitamin C which boost your own natural collagen production. 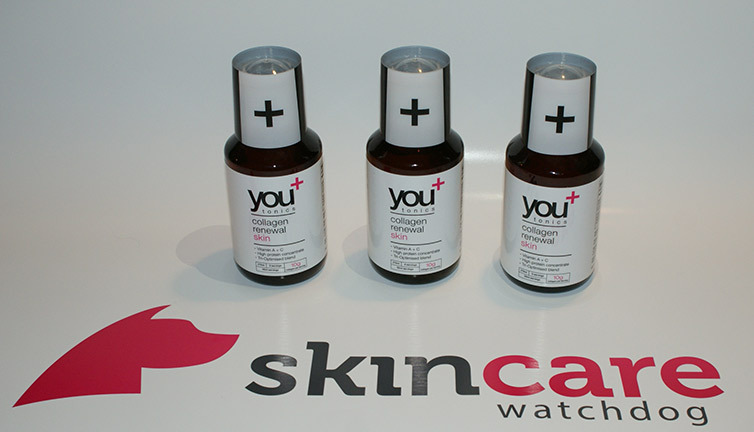 To make sure that as much extra collagen as possible reaches your skin, YouTonics also boasts a proprietary “Fast acting liquid delivery system”. This system guarantees to speed up the assimilation process, meaning, your body absorbs collagen quicker, and your skin repairs itself quicker too. And here is what we really like about YouTonics. Due to its concentrated formula, you only need to take 30ml a day, and 1 bottle should last you 9 days (270ml per bottle). Most other collagen drinks manufacturers have opted for bigger serving per day or packaging each serving to its own bottle. Imagine the number of bottles you have to carry with you if you went away for a week or two or the size of a lorry which would pull up at your house after you’ve ordered 2 months supply! With other top brands like Gold Collagen or Skinade, you have one bottle for each day, but we salute the people of Bauer Nutrition to pack 9 days of goods into 1 bottle. Not only it’s easier to carry around, but it also reduces waste, which is very well thought-out these days where common sense should be considered as a super-power. What YouTonics can improve on though is instructions on how to measure that 30ml serving. But don’t worry, just check this image here and you can see it’s actually quite easy. We have used the plastic cap of the bottle itself. You can see the plus sign on it. When tipped upside down, use the top line of that plus-sign as a marker for 30ml, but make sure to shake the bottle well before pouring it to the cap. Like all other collagen drinks we have tried, YouTonics Collagen Renewal is no different really – it doesn’t taste that nice. When we say it’s not “that” nice, we really mean it’s not like a milkshake or berry smoothie. When we ordered it, it said on the website that it has a refreshing mango and passion fruit flavour, but we didn’t find it that refreshing at all. To be fair though, it smells worse than it tastes, so skip smelling it, and just drink it. However, some of us didn’t really like that taste at all, so if that’s you, you can make YouTonics easier to drink by combining it with smoothies or your favourite juice, that will mask the taste and help you reap the benefits of collagen drinks without feeling horrible every time you drink it. Does YouTonics Have Side Effects? – Those of you who have food allergies should read the full ingredient list in order to ensure this product will not cause dangerous side effects in your body. What are People Saying about YouTonics Collagen Renewal? I’m 52 and I’ve been struggling with wrinkles and fine lines for 10 years now. After trying many types of creams and pills, I’ve finally stumbled upon this product that has literally changed my life. Never knew collagen drinks could actually work so well. 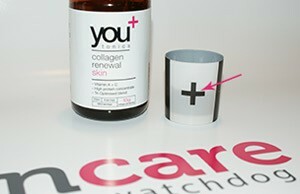 YouTonics Collagen Renewal has proven to be the perfect solution for my skin. After just 20 days, my skin was glowing and most of my fine lines started to vanish. After a month, I started to notice that many of my wrinkles were gone. 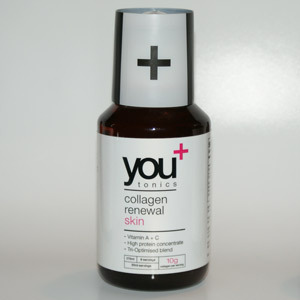 Where Can You Buy YouTonics Collagen Renewal? Now, more about their discount on the official website. So if you’re thinking of giving YouTonics a go, there really is no reason not to buy 6 bottles of it to start it all off. In addition to free shipping to any country worldwide, YouTonics offers 60-day money back guarantee. We are yet to learn about any other company offering the money back guarantees on beauty products, so this really is something! As we all know, most women would do whatever it takes to look better, and way too often we resort to going under the knife, or Botox. We have to say, now that oral collagen supplements are scientifically proven, and we have seen its positive effects first-hand, we really like YouTonics. Not only because it’s one of the more affordable supplements, it’s produced by a reputable company and comes with 60-day money back guarantee. No OTHER company offers that. Although YouTonics can deliver first results in as early as 5 days, most consumers don’t notice real results until around week 6-7. It is, therefore, best to opt for a 60 day supply. should i get 1 bottle to try it out? Got my 2 months supply last week. Taste isn’t great, what’s your recommendation? I’m so impressed. I would love to try this product. How do i get a free trial? I live in Queensland Australia the sun here is very damaging (if u don’t take care ). I would love to reduce my wrinkles and look younger. I will take a photo everyday and post it on social media.???? I would like to order this, but I have been scammed when buying off the internet. The company started to take money out of my account without my permission and me not signing anything. Would really love this but too scared to buy!